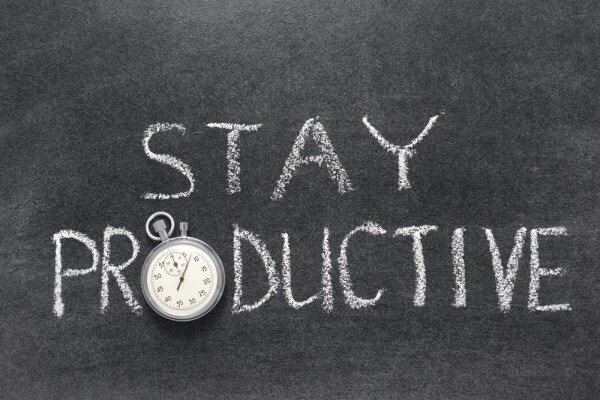 If you are a small business owner and are concerned about productivity, then you are not alone. The realities of modern technology have created a highly distracting environment for workers while making oversight more difficult for managers. A recent study found that 37 percent of employees constantly surf the internet while at work. That number may or may not surprise you based on your own experience. One thing is for sure, though. If you think none of your employees use the Internet for personal reasons, then they are just good at hiding it from you. In this post, we will discuss this problem and provide a few possible solutions to help you boost productivity without looking like a tyrant. Office work provides employees with constant access to an Internet-connected computer. There is no way around this- the Internet has become far too valuable as a productivity tool that is core to the day to day work of most employees. However, the Internet is also the source of the most wasted time. Whether it’s social media, games, or anything else that is not related to work, employees have no trouble spending hours wasting time. In the days before the Internet, it was quite easy for managers to keep an eye on their workers, but now, any employee can hide the use of time with a few keystrokes. Solving this problem is difficult. Monitoring is one solution, but it often evokes privacy concerns, and that is difficult territory. It also compromises the trust between the employee and the manager. A monitoring program is an overt statement that the management does not trust the workers to do their jobs. That alone can damage productivity and reduce morale. Plus, tech-savvy employees can often hide from monitoring programs. It isn’t feasible to monitor everyone all the time, and trying to do so will only remove the motivation of both the workers who slack and those who do not. If monitoring is out of the question, then what works? Part of the complication is the recent rise of smartphones. Smartphones are harder to track and monitor and involve even more privacy concerns, because they belong to the workers. One alternative is that instead of monitoring the traffic of every computer, use an enterprise blocking tool. These work at the network level, so they are less invasive but also more effective than monitors. They can block off access to certain sites using a blacklist or only allow access to good sites using a white list. Some are even sophisticated enough to block traffic on smartphones which are connected to the company network. That is a major advance, because personal phones are much harder to control in general. But tools like Blue Coat and FocalFilter can get the job done by blocking sites that waste time. That will carry over to apps and mobile surfing as well as traditional browsing. It’s hard to overstate how valuable that is. Blocking as a whole is less irritating and generates less fear than monitoring, but it also doesn’t require the time of micro-managing every worker to ensure compliance. The bottom line is that productivity losses are affecting everyone. Whether or not they admit it, workers at all companies use work computers or their phones for unproductive reasons. The first step is acknowledging the problem. Only then can you begin to take steps to address it. Remember that being too aggressive will affect productivity and morale just as much as the original time-wasting, so you need something that will be hands-off and won’t feel too oppressive. The best software that can deliver on all of the requirements is blocking software. Make sure to look into blockers that work on smartphones and tablets.